July 17th is World Emoji Day. We’ll forgive you if you didn’t plan a party or bake a cake in the shape of your favorite emoji. But we thought it might be fun to celebrate by talking about how emojis are changing the way we communicate. Whether you think of the art of emoji as a positive advancement in human communication or a useless distraction that’s mostly for teenagers, one thing’s for sure—you can’t easily avoid emojis. A friend or colleague is bound to send you one at some point. So, in honor of World Emoji Day, let’s take a look at the history of emoji, explore whether emoji could become its own language, and consider how businesses are effectively using emoji. If you don’t know the history of how emojis came to be, it’s actually quite fascinating. Shigetaka Kurita, a Japanese engineer, was tasked with developing the first emojis for a Japanese telecom giant in 1990. Dissatisfied with the limitations imposed by regular text, Kurita designed a set of 176 emojis. Of course, the emergence of the smartphone helped spread the use of emojis around the world and increase the demand for new icons. From this original set of characters, the global collection of emoji has grown to over 3,000 unique icons today. Emojis have rapidly grown in popularity since they were first introduced in the U.S. in 2011. By 2015, half of all comments on Instagram included an emoji. On Messenger, Facebook’s messaging app, over 5 billion emoji are sent and received daily. It’s true, emojis have become such a part of our lives that the “faces with tears of joy” (which, at least according to iPhone’s autocorrect is equivalent to LOL (“laughing out loud”)) was Oxford Dictionaries’ word of the year in 2015. It’s no wonder Emojipedia founder, Jeremy Burge, decided we needed a day to celebrate this linguistic invention. He started World Emoji Day started in 2014. Burge chose the date of July 17 because it has been the iconic red and black Apple calendar emoji since 2002 [insert image of calendar emoji]. Will Emoji Become Its Own Language? Despite the popularity of these characters, some diehard linguists remain mostly unimpressed. In fact, there is a debate raging among academics and language experts about the question of whether emoji could ever become its own language. The optimistic side has a utopian vision of emoji as a “universal language,” the great democratizer holding promise for communication that reaches across such barriers as class, culture, and geography. The more pessimistic side sees the invention of emoji as the destroyer of language, a political tool and new way to send violent threats to our adversaries. This mostly academic dispute isn’t exactly the stuff of reality TV, but last month, a collection of linguists, data scientists, computer researchers and emoji enthusiasts gathered at Stanford University for the first ever International Workshop on Emoji Understanding and Applications in Social Media to debate questions like the one above. As it goes with most academic conferences like this, the paper presentations and discussion probably raised more questions than it could ever hope to answer. Still, most language professionals agree that the icons are not quite a language in itself—the emoji vocabulary is made up entirely of nouns and there’s no real grammar or syntax to govern their use. The key point to keep in mind as we consider emoji as a form of communication, according to Linguist Neil Cohn, is that natural language is rarely limited to speech or text alone. When we communicate, we constantly use gestures and body language to enhance meaning. For this reason, linguists say that language is “multi-modal.” While text or writing takes away the extra non-verbal information we convey in-person, emoji allows us to reintroduce it, at least partially, into our written text. There’s no question that if you ignore emoji and focus only on text, you’re missing out on a lot. Have you had a text conversation with a teenager recently? We’re betting this group would respectfully disagree with language experts sending a string of emojis as their rebuttal. 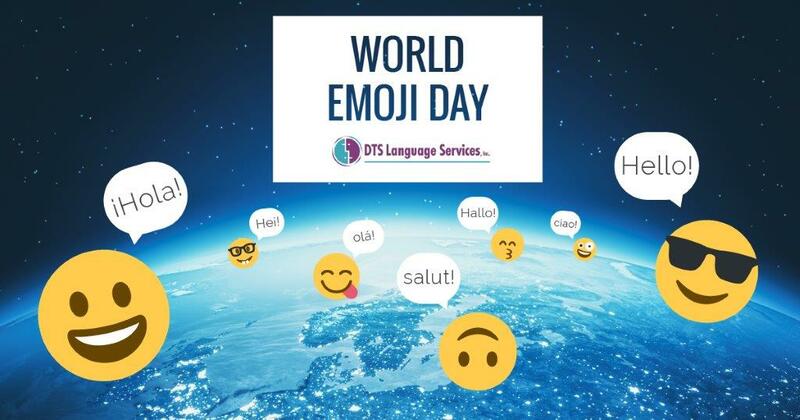 Moving beyond what language experts think about emoji as a form of communication, given that emojis are almost a way of life, should businesses be joining the crowd or should we all work to keep our workplaces emoji free? The way consumers interact with brands has certainly changed since the days of sending a snail mail letter to the customer service department. Among other online methods, it’s now possible to chat with, tweet at, or post to a business’s Facebook page. In response, many brands take a more conversational approach to engaging customers online. It should come as no surprise, then, that emoji has become part of the online customer experience. As with other forms of business communication, the most important question brands should ask themselves is “are we staying on message?” In some cases, a well-placed emoji can clarify tone. However, if you are making an apology or responding to a negative review, an emoji might suggest that you are making light of the situation. Additionally, the use of emojis may be perceived as unprofessional in certain industries. If your target audience is other professionals, for instance, using emojis to communicate might not be the smartest idea. So, it’s definitely worth considering what message you want your online presence to convey. Overall, it’s probably too hasty to declare emojis as “unprofessional” in business. They can be useful in the right context to convey emotion or clarify tone. Just be sure your use of emoji stays on brand. At DTS, we don’t really have a dog in this fight. Our translators are always ready to provide professional science translation services and so far none of our clients’ requests have included emojis. We confess that we do sometimes use emoji to communicate with each other, however. 😉 If you have a project that needs the attention of a professional language service provider, contact us to request your emoji-free quote.